It sure was another windy day on the SMT yesterday with very strong gusts in the area past the kiosk on the SMT. Upon reaching that area, many walkers turned back on the trail due to the cold and windy conditions. Met up with a group of 19 Girl Guides and leaders on the SMT just past the Bald Eagle Bridge and I could see that it was not a fun hike for the young group due to the cold weather and strong winds. I spoke with the Guide leaders and suggested they might want to hike the Shearwater Flyer as the trees along the trail provided protection from the strong winds and it would be a much more enjoyable hike for the young group. It didn’t take long for the group to change direction and they headed towards the Shearwater Flyer. Much later on my return from Shearwater, I again met up with the Girl Guide group who were enjoying the beauties of fall along the Shearwater Flyer Trail and I bet all 19 Girl Guides shouted to thank me as I rode by on bicycle. 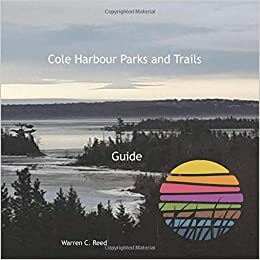 Cole Harbour Parks and Trails Assoc.